Whether you’ve fallen ill and need to move into residential care or want to downsize because you have difficulty getting around the house, realising you have to sell your home due to ill health can be upsetting. The last thing anyone wants to think about when they’re dealing with illness is the property market and having to find a new home. 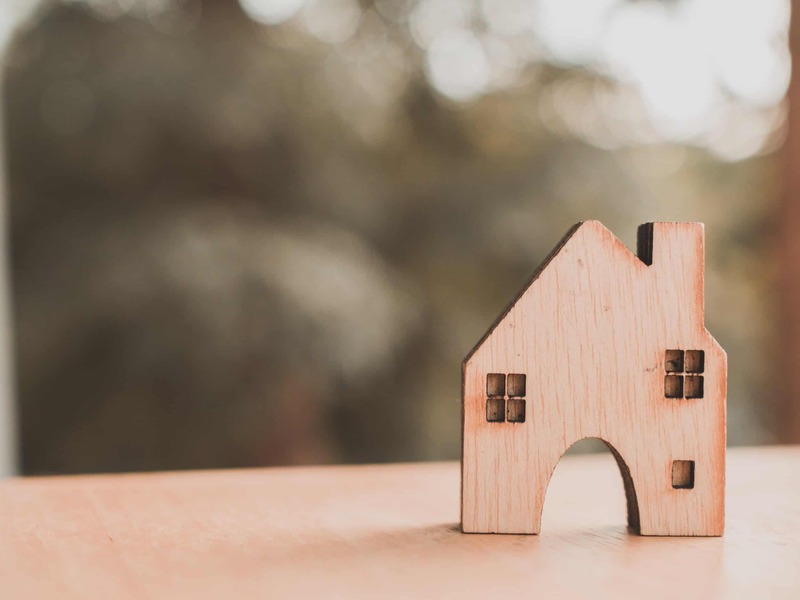 Regardless of your situation, there are multiple housing options, support and services in place to help make selling your home and moving less stressful. This post looks at how you can make the moving process easier and ensure that you receive the support you need after you move. Get organised early: Although it’s not always possible to start the moving process early when you’re suffering from ill health, avoiding making last-minute arrangements is one of the best ways you can reduce the stress of moving. Starting to pack a month before you move gives you the time to pace yourself and move boxes around the house as needed. Donate unwanted possessions: Most people realise they have a lot more belongings than they thought when they begin packing. The last thing you want to do when you’re moving due to poor health is have an excessive number of boxes and furniture to relocate; as you’re packing, put aside a pile to donate to charity. Label important boxes: It’s important to label each box so you can find vital possessions quickly, especially if you’re moving medications or mobility equipment. Keeping an inventory of what you’re transporting, which box contains what and where things should go in your new house will save hours of confusion. Professional movers: People often estimate how much they have in their house and unless you know someone with a very large van and a lot of spare time, arranging professional movers will make the moving process a lot smoother, particularly the heavy lifting. Pack the essentials in a separate bag: Even after you’ve labelled every box and compiled a comprehensive list of everything you own, you’ll probably still struggle to find something when you desperately need it. Packing an overnight bag with a fresh set of clothes, essential toiletries and medication means you can easily find what you need without rifling through boxes and bags. When you’re selling your home due to ill health, you should make sure that you continue to receive the same services and level of support you’ve grown accustomed to after you move. You should contact your local trust in good time before you move to ensure they are able to set up the support and services you need at your new home. If you move without informing your local trust, there will be a significant delay before you receive any support. Any disability equipment you had in your previous property will have to be returned to the local trust once you move, as your new social services team will provide replacement equipment. If you received a wheelchair from the Department of Health’s Wheelchair Service, this can go with you when you move. You may also need to employ a new professional carer for additional living support in your new home. You don’t need to apply for a new Blue Badge that entitles you to disabled parking benefits when you move. If you had a free bus pass for the services that operated near your old home, you should still qualify for a free pass in your new location. Your Disability Living Allowance, Attendance Allowance, Incapacity Benefit or Employment and Support Allowance will not be affected once you move, unless you’re moving into a care home or hospice. You must inform Social Security that you are changing address well in advance, so they can transfer your financial support to your new property. If you have to wait for your new home to be adapted to your needs before you can move, you can apply for a Housing Benefit to help pay for the new property for up to four weeks before you move in. Most people’s social care needs change over time, so your care plan should be regularly reviewed. If you haven’t required health and social care in the past but need to arrange it now you’ve moved, your local social services department will assess your needs. This assessment will determine whether you need healthcare, disability equipment, help in your home or residential care. Sheltered housing schemes: Sheltered housing is perfect for those who mostly live independently but need occasional support. Such housing will have security features like an emergency alarm and a warden who can attend to you if needed. The level of support you’ll receive depends on which scheme you opt for and it may be provided by your local council, or you can buy a property privately. Extra care housing: Extra care housing (also known as “assisted living”) offers more support than sheltered accommodation. You’ll still live in a self-contained flat, but you may have additional services such as meals or personal care provided by on-site staff. The level of assistance you need can be increased or decreased to meet your needs over time. Close care housing: Close care is housing for older people that is on the same site as a care home. The care home will provide you with personal care support and allow you to move into residential care in the future if necessary. Close care will likely appeal to those who have a deteriorating condition but want to remain as independent as possible. The range of services and schemes varies between providers, so it’s important that you check exactly how much support you will receive and how it is paid for. It can be upsetting having to sell your home due to ill health and we recommend seeking professional advice and support to help you through the difficult time. If you need to sell your house in a short period of time, our experienced professionals at Good Move can help. We will buy your home quickly for up to 85% of the market value in cash, aiming to complete the sale in as little as two weeks. If you need to sell your home fast, contact Good Move today for a free cash offer.